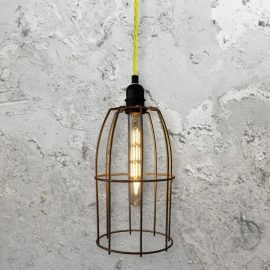 Bespoke industrial wire cage lighting made from various metal finishes and colours with a choice of flex to make your industrial cage light design unique, these bespoke wire guard cages are made to order and have been quality tested in the UK. 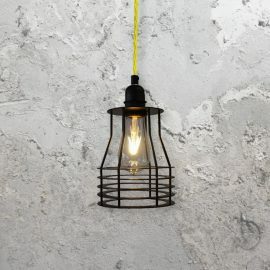 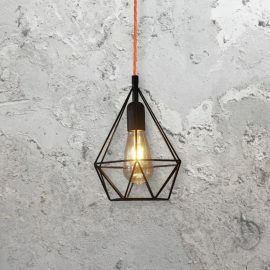 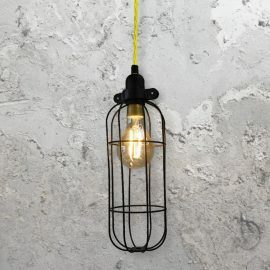 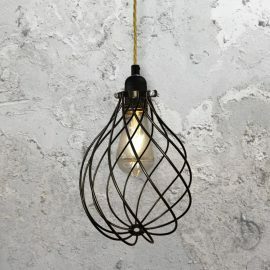 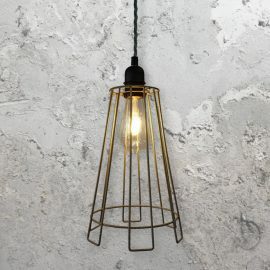 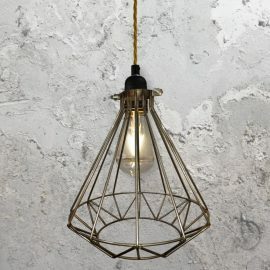 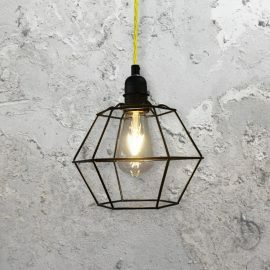 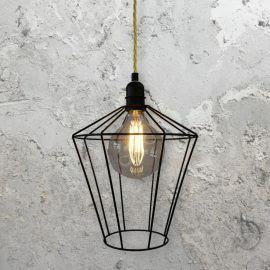 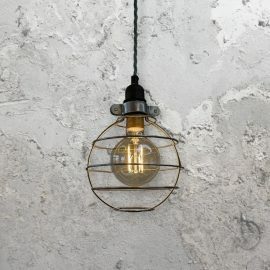 Enjoy more than one cage pendant light? Why not make your own cage cluster lighting? Mix’N’Match pendants. 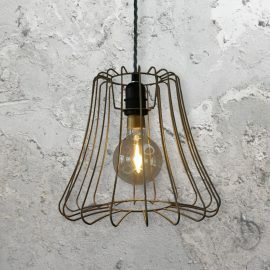 Enquire for more on our bespoke cage lighting.